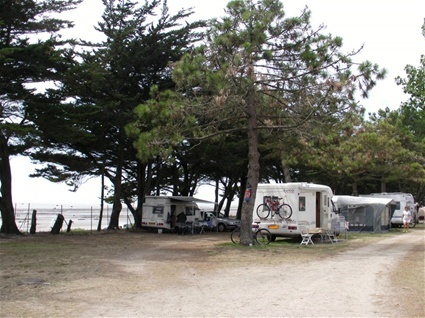 La Goélette campsite ** offers you calm and quietness on the seaside, with direct access to the beach, in the little village "La Sennetière" in La Bernerie-en-Retz. 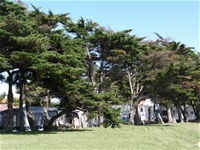 at La Goélette campsite** !!! 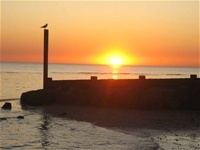 La Goélette campsite welcomes you from April 15th to the end of September to spend resting and family holidays. 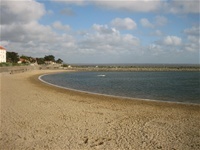 - direct access to the beach. Car access closed from 10.00 pm to 8.00 am (park night at the entrance of the camp site). - market every Thuesday and Wednesday morning. Fares are defined from 12.00 pm to 12.00 pm the day after. 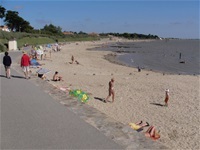 La Goélette campsite is located on the seaside in the village "La Sennetière", 1,5 km South from down-town of La Bernerie-en-Retz. 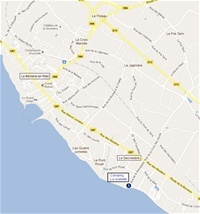 Coming from Route Bleue (D13, Pornic-Bourgneuf-en-Retz axis), exit at "La Sennetière" and go straight-run to the sea.